Tracking kids is now become easier in 2017, you have great support of GPS trackers that enable your smartphone to check the whereabouts of your child with an app. The next time you ask someone “Where is my child?” can now become an obsolete question many other heart-stopping questions related to whereabouts of your child. Today in this article we will see the best gps tracker available in 2017, with their short review and features. These lightweight GPS trackers can work for a day or two with full charge and some other devices like smartwatches and backpack trackers can also work in background to give you full control over your child’s vicinity. 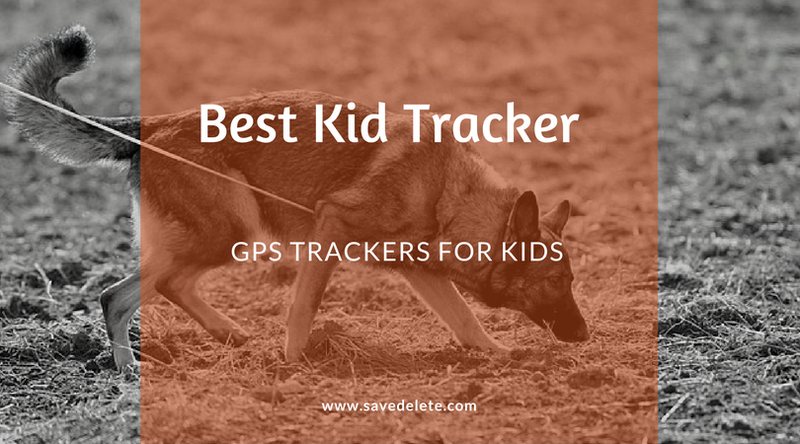 Let’s have a look which are the best GPS trackers for kids. With features like augmented reality tracking and geofencing, this user-friendly GPS tracker for kids provides a smartphone app that will help keep tabs on your kid. There new and improved version has better signal retrieval and positioning, but like other GPS trackers it still struggles a bit in the department of in-house tracking. Hopefully future updates can solve this common issue. Weighing at 4.87 ounces and battery life of 48 hours, this kid tracker has apps available on Android and iOS app stores. The monthly service cost – $4, with two year agreement and it doesn’t support calling or text messages. The network on which with runs in GSM/GPRS Quad-band. This device is our favorite due to its simplicity and no frills, plus it does the job of telling you where your child is. The best feature of this device is geofencing, that enable you to set an area and if your child wanders outside that designated area you will get alerts. So, if your kid is at school and you have designated school area, and your child moves outside that school area you will be notified. Trax Play doesn’t allow you to communicate with your kid, but other compelling features are enough to make it appeal to you, and if your child is too young who can’t carry a GPS watch or a smartphone, than this device is for you. 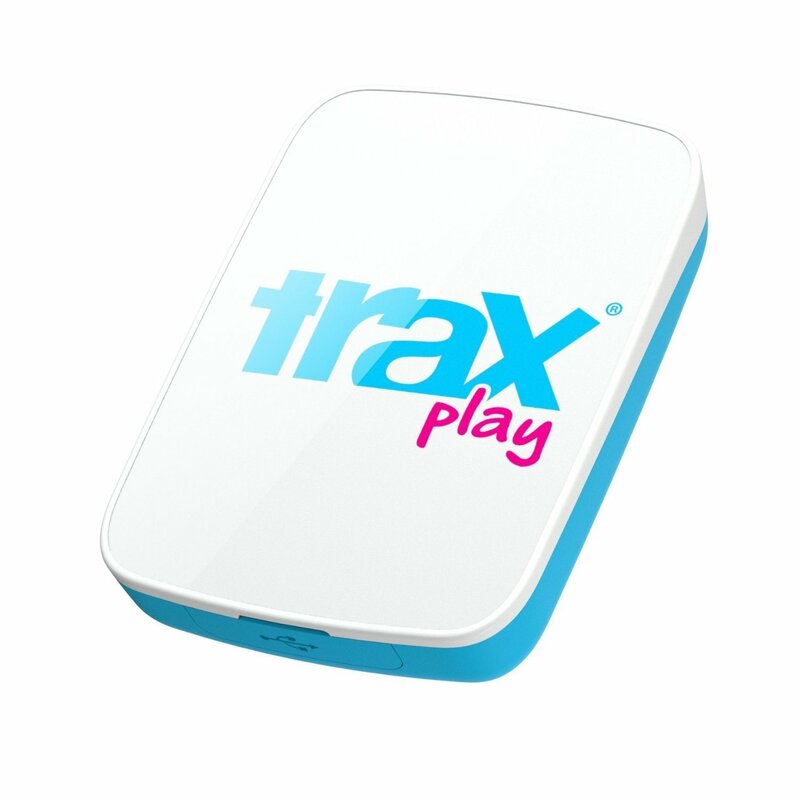 The looks of Trax Play are not that pretty or cool, it has a flexible sleeve that is equipped with a belt clip and its size is about a Matchbox car, little wider than it, but shorter as well. If its tracking someone then you will see an LED blinking, while charing it stays solid and it changes color to tell you its charged status. Another good feature of Trax Play is the setting for a perimeter, suppose you have set a perimeter of ten meters radius and if the device crosses that value, it will send alerts about the same. After you purchase Trax you have to subscribe for its monthly cost of $4. The tracker when tested with many building nearby that are not that many, it works fine. But when a high-rise building area is tested with the results weren’t good as expected. Other features that will appeal to any parent would be the history feature that let you see the location of last 24 hours of your tracker. It means you can check where you child have been in between coming to home from school, may be he/she visited a candy shop. With the augmented-reality view you can also track your child in a crowded area by pointing your phone to the direction of your tracker and you will see the distance and location of your child on the smartphone screen you have. When you use map to check your child’s location, you have three option for it: a Google map with satellite view, a plain Google map and a hybrid of both. Right now you can track location every 10, 15, 30 and 60 secs, the more duration you choose to see the more scribbles on map you will get. The room to room movement will make the map look fizzy. The new firmware that’s coming soon will give you location data of 5 min, 10 mins, 30 and 60 mins, hopefully that will clear out the scribbles if you opt higher time interval option. The software that is going to be updated will also increase the battery life as you can control the frequency of location updates. Like suppose you have an update of location every 10 seconds then the battery will last for about 7 hours or so, and when you increase the update time frequency to 30 seconds, the battery tend to stay at least for a day. With the new update and change in frequency of tracking, Trax can stay charged upto four or five days when you have hourly frequency selected. Even without the update of firmware, the Trax Play is a very good choice for parents that want to keep a regular check on their kids. The only limitation that you have is a two way communication, and that’s not mandatory if you have a younger kid who understand about communication. The geofencing and Augmented reality viewer is what makes this device a good choice for younger children. Some owners have provided a 3.4 ratings on Amazon with appreciation of compactness and geofencing feature. And one reviewer have reported a significant increase in batter life after the upgradation to the new device. The major negative complaints are about accuracy particularly inside home. This GPS enabled watch FiLIP 2 is not a complete smartwatch, but it has number of feature that will be liked by many parents, if they get it. This watch is not available on stores from any retail partner right now, but you can get it from Amazon. This lightweight smartwatch weighs about 2 ounces and that’s why even younger kids will be able to wear it comfortably. For growing kids you can use stretchable band extenders that will allow you to use smartwatch easily. You can get your FiLIP activated via AT&T’s website which is again easy. The SafeZones feature will allow you to add multiple area from the app, but the address of locations need to exact otherwise you may face problems configuring it. Another long lag is expected and about 10 mins is the time it takes to report entering or exiting a zone via push notification on the app. The GPS is accurate to few feet and it is quite good actually. 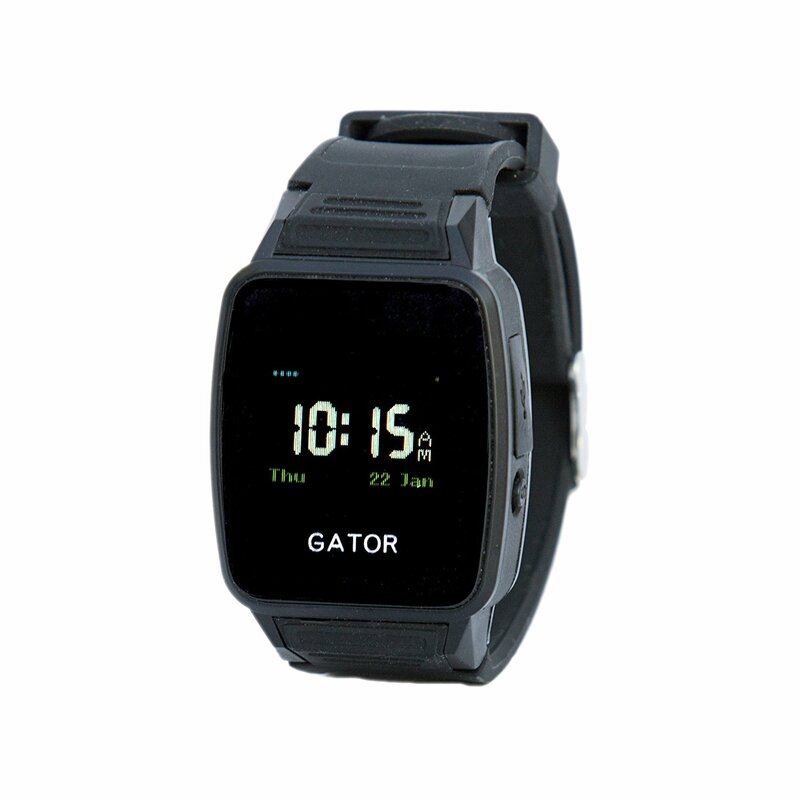 This watch allow you to call two ways to the feeded numbers and a red emergency button requires 4 sec of pressing to get activated which will automatically place calls to your contacts until somebody answers it and instant notification are also sent on your phone. The biggest plus of this device is the ability to initiate two way calling and sending SMS alerts quickly. Owners from Amazon has an lowest rating of 2 and its been accredited as a good kid-friendly GPS. The audio quality is said to be disappointing but the two way calling feature is said to be the best in FiLIP 2. Caref with its three service plans and impressive pinpoint locater offers a lot of potential. Although the setup process is a bit complicated and you have to wait for 10-min lag for the exact position. Another annoying thing is finding the correct app for usage. MyCaref is the app which you will require to track everything and it also allow you to create geofencing which is again good as it also allow two way calling. The low-resolution digital readout is tough to comprehend, but its display to good to read yourself. The calling feature and text support is quick and you will find the quality of calls to be surprisingly good. The SOS button will give instant calls to contacts saved in the device and it will keep calling until someone answers. Look wise Caref isn’t that attractive or eye-catchy, and randomly it will catch your attention by playing a lullaby on occasions. Overall battery backup is quite good and it will last more than a day if moderately. Its not water resistant, so be careful and don’t submerge it. According to reviews on Amazon and a rating of 2.6, some people are happy about its features and some are critical due to build quality of the watch, still a pretty decent device that you should surely give a try. Which of these trackers are useful to you? Are you using something else to track your kids? Do tell us in comments below. 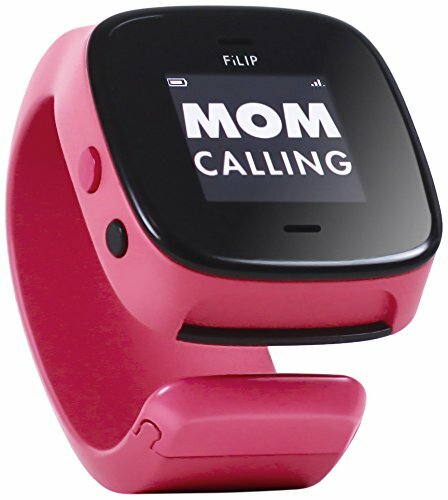 I am Getting the Caref GPS Phone Watch for my Kids. Its Cheap with some awesome features with it.